I always love traveling but this place is different because it is really close to my heart. 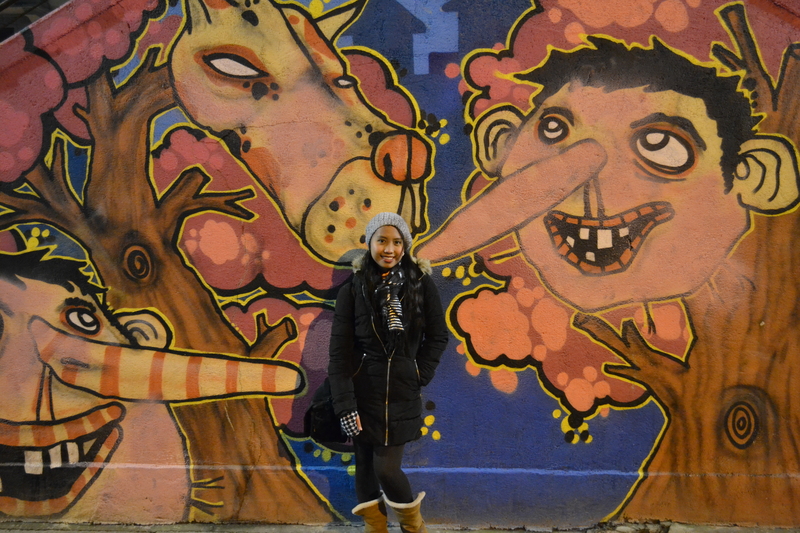 When I was young, I promised myself that I will go to Milan someday. Now, let me share to you a dream which has become a reality. 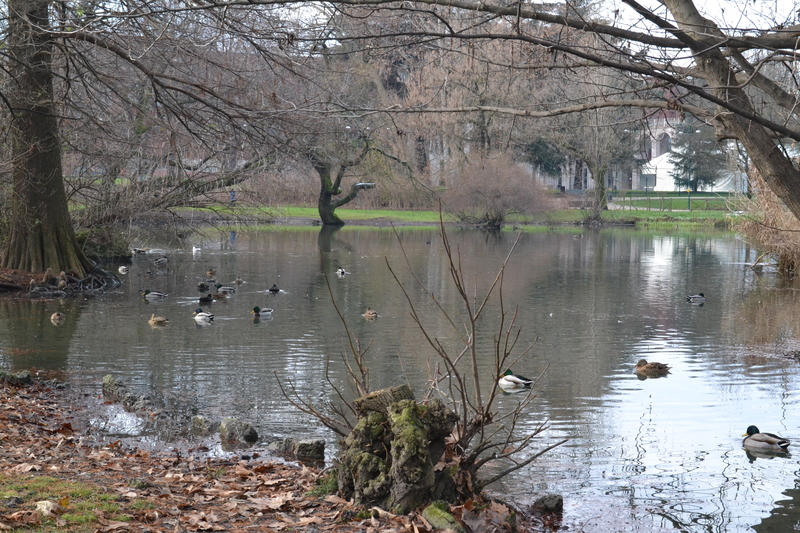 I can consider Milan as a romantic, religious, and quite affordable city. Their famous landmarks and delectable dishes exemplify their rich cultural tradition. To better understand my claim, here are some of the places, dishes, and some other things that you should not miss when you are in the city. From Milan, you need to travel by train to Porta Genova. Upon your arrival, you also need to walk to reach Navigli. What will you find there? Aside from its romantic environment, there are a lot of bars or restaurants that offer an all-you-can-eat buffet dinner from Thursdays to Saturdays for an affordable price. You can also get your first drink for free! 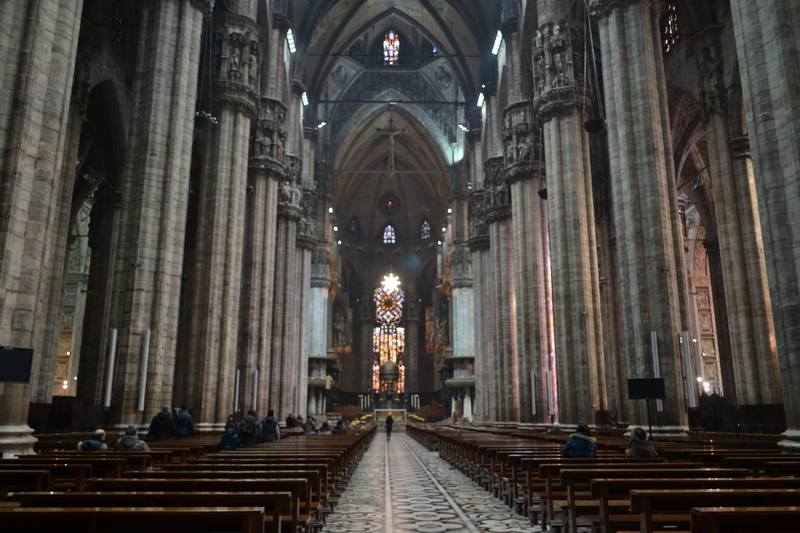 When you just want to have a quiet day, and pray, going to the Milan Cathedral is the best thing to do. There, I attended the Sunday holy mass and the guards are strict in terms of churchgoers’ noise, punctuality, and dress code. I think this is to maintain the solemnity of the mass. Do you want to experience how it is like to be in a castle? 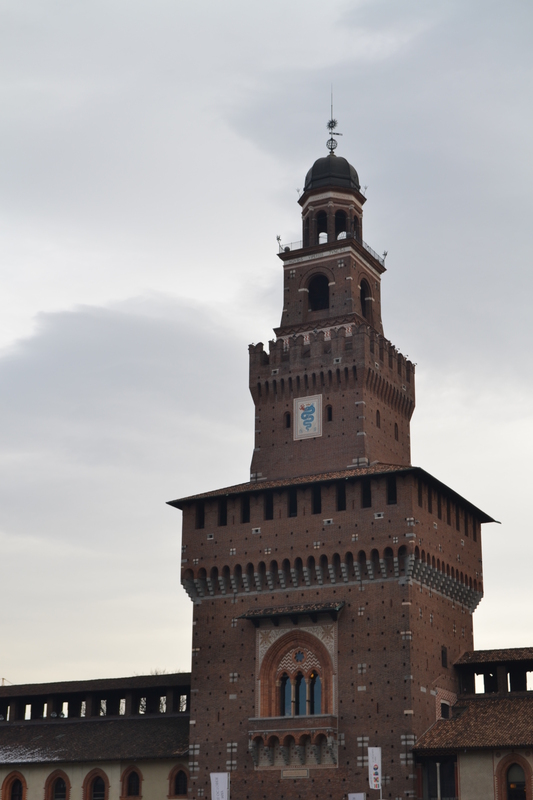 Then, go to Sforzesco Castle. This is just a short train ride from the cathedral. What I like about this place is the park inside. You can have a good walk there or you can just simply take a sit and enjoy what nature has to offer. Of course, shopping will always be in your list. 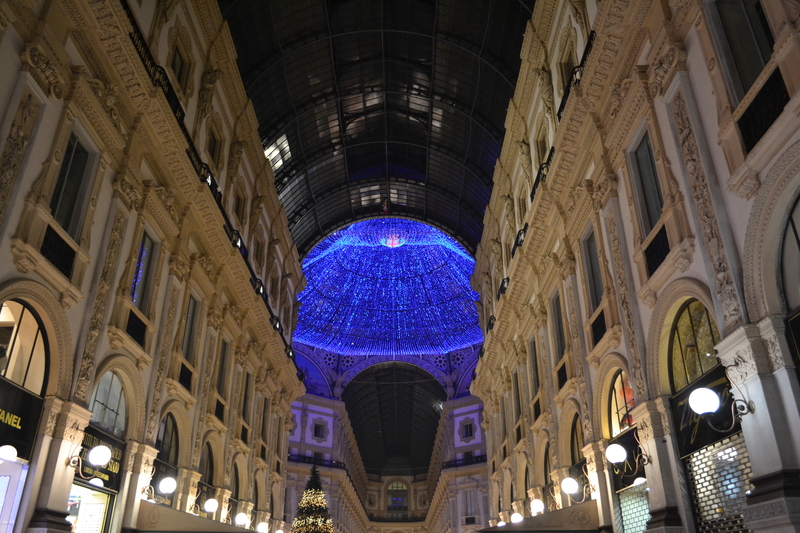 When you are near the cathedral for sure you would not miss Galleria Vittorio Emanuele II. This is considered to be one of the oldest shopping malls and just by merely going inside, especially at night, you will definitely fall in love with this place. Since I was craving for Asian dishes, I look for Milan’s Chinatown. It reminds me of Divisoria, a place in Manila, Philippines where we can buy low-cost products. From electronic gadgets to RTWs, this is the right place to buy those things. However, just check about the quality of what you are buying. I don’t have a hard time going from one place to another because they have an efficient train system. If in case you need help, Italians are kind to answer your question and there are also a lot of Filipinos in the area. When I went there, I just felt that I was just in Manila. I was not really afraid to get lost. Here’s a peek of Milan’s central station. I would not end this blog article without showing you how sumptuous their dishes are. From their salads, pastas, and pizzas, you can never deny that Italians are good cooks! Take a bite of their mouthwatering specialties!